Photo: Front entrance sign for the College of Wooster. Description: he College of Wooster is a private liberal arts college primarily known for its "Independent Study" program. It has roughly 1,800 students and is located in Wooster, Wayne County, Ohio (approximately 60 miles (97 km) south of Cleveland). Founded in 1866 by the Presbyterian church as Wooster University, it was from its creation a co-educational institution. The school is a member of The Five Colleges of Ohio and the Great Lakes Colleges Association. As of June 2008, Wooster's endowment stood at approximately $287 million. 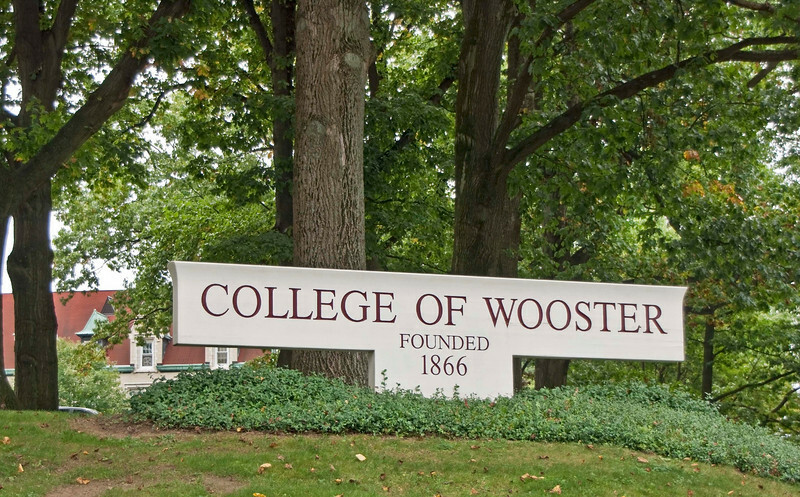 Wooster is one of forty colleges named in Loren Pope's influential book Colleges That Change Lives, in which he called it his "...original best-kept secret in higher education." It is consistently ranked among the nation's top liberal arts colleges, according to U.S. News and World Report. In US News' "Best Colleges 2010", Wooster ranked tenth among national liberal arts colleges in the category of "Best Undergraduate Teaching"